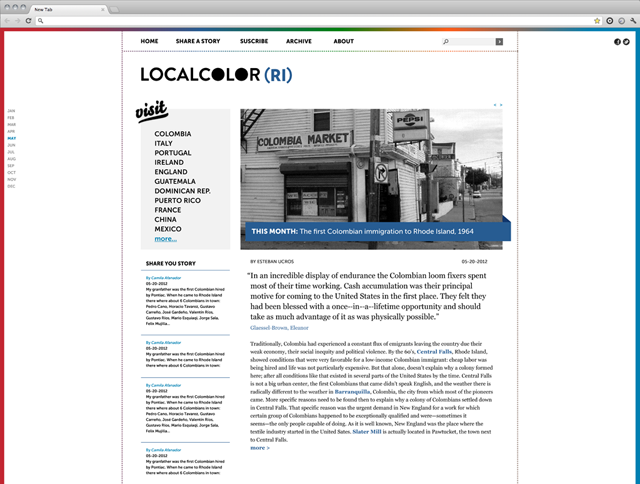 Local Color is a proposal for an online publication featuring articles, essays and short stories and people’s commentaries about the history of micro communities in the state of Rhode Island. 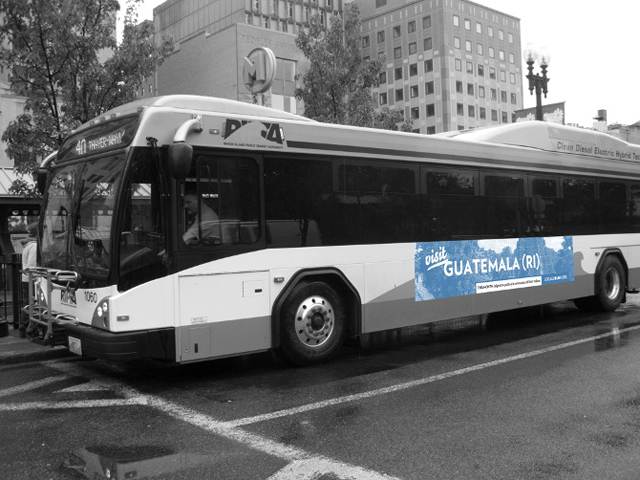 This online publication contemplates a collective generation of content, nurturing the official historical documentation. 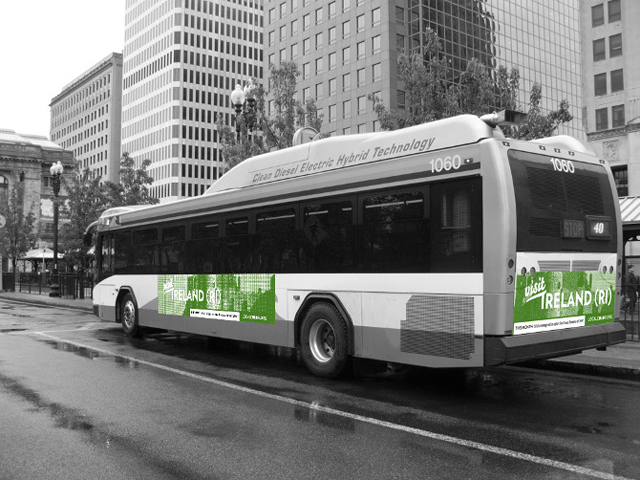 The project includes a proposal for promoting the online publication around the city using the public transportation system of the state. 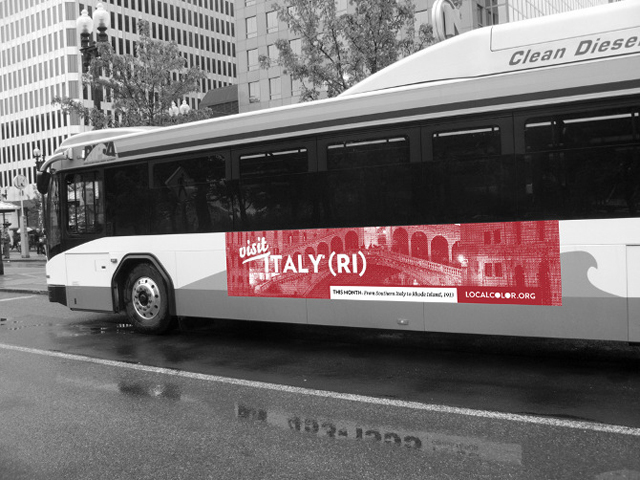 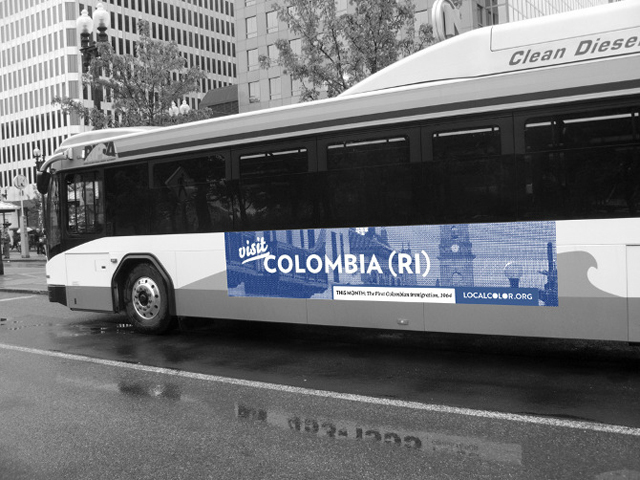 With signs affixed to the RIPTA buses the messages that symbolically invite people to visit a specific country are spread throughout the state.